Seems as though the flu has decided to hang around for awhile. Do you know how to help prevent yourself from the flu? It is recommended that you receive the flu vaccine annually. 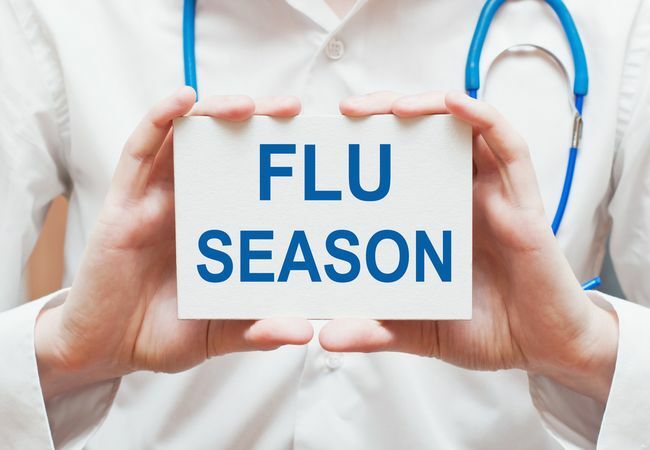 By receiving the vaccine you can help reduce the possibility of getting the flu, or if you do get the flu the symptoms can be lessened by receiving the vaccine. Everyone 6 months old and older should receive the vaccine. Healthcare professionals should definitely receive the vaccine due to working with many patients. High-risk people include adults 65 and older, young children, pregnant women, people with health conditions (ex: diabetes, heart disease, lung disease, asthma). Avoid close contact with those who have flu-like symptoms and those who have a temperature. Preventitive measures include covering your nose and mouth with a tissue or your arm when you sneeze or cough, washing your hands often, avoid touching your eyes, and cleaning surfaces and objects to disinfect them. This includes computer keyboards, mouse, telephone, and door handles. If symptoms persist, or if you expect you have been exposed to the flu virus be sure to visit your doctor. The sooner you are treated the milder the illness can be. Be sure to schedule your flu immunization if you have not had one!